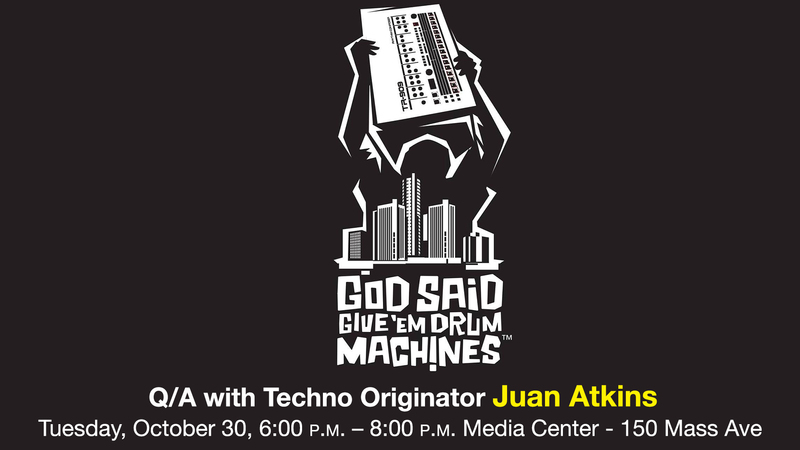 Starring techno pioneers Juan Atkins, Kevin Saunderson, Derrick May and Eddie Fowlkes, God Said Give 'Em Drum Machines tells the lost stories of the underground music scene in 1980's Detroit which revolutionized and changed dance music forever. Against the backdrop of a struggling city, the thriving genre of techno was born, evoloving to become today's $7.4 billion EDM industry - one that is dominated by white artists. The film tells the story of the African American men who created it, and how the business of music betrayed them. Juan Atkins and filmmakers Kristian Hill and Jenn Washington will be in attendance to discuss their journey creating the film and the challenges of sustaining long form storytelling as Black artists in America today. In the underground, Juan Atkins is known as the "Originator" of techno, leading the way through release of futuristic dance records in the 80's and helping his friends to do the same. A new underground dance music scene emerged in Detroit as this group of DJs transitioned into full fledged producers and label owners. Techno would soon become wildly popular overseas and the rest is history. At the dawn of the 1980s, Juan Atkins began recording what stands as perhaps the most influential body of work in the field of techno. Exploring his vision of a futuristic music which welded the more cosmic side of Parliament funk with rigid computer synth pop embodied by Kraftwerk and the techno-futurist possibilities described by sociologist Alvin Toffler (author of The Third Wave and Future Shock), Atkins blurred his name behind aliases such as Cybotron, Model 500, and Infiniti to release many classics of sublime Detroit techno. And though it's often difficult (and misleading) to pick the precise genesis for any style of music, the easiest choice for techno is an Atkins release, the 1982 electro track "Clear," recorded by Atkins and Rick Davis as Cybotron.